Louise Humphries: Pressure Tory councillors to get our sports hall. 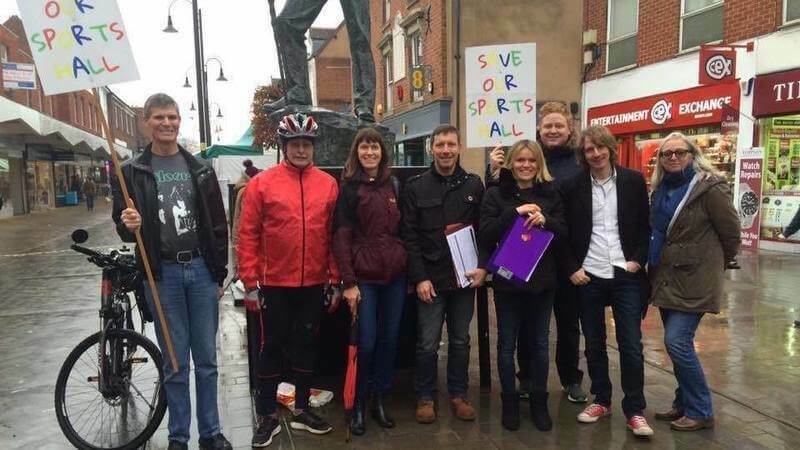 In 2015, local residents became aware that the proposed new leisure centre for Bromsgrove did not include a sports hall. A group of residents (myself included) began a campaign to ask Bromsgrove council to reconsider this decision. In November 2015, we handed in a petition with over 1700 signatures asking the council to look again at the leisure centre plans. Unfortunately, the Conservative council voted against the motion put forward by Labour Councillor Chris Bloore and supported by all other sitting Labour councillors, to look again at the leisure centre plans. Instead, we were told that there would be a contract, so we could use North Bromsgrove High School sports hall in the evenings and weekends once the Dolphin Centre sports hall was demolished. In December, just before the new leisure centre was due to open, we learned this contract had fallen through. This potentially leaves Bromsgrove without any pay and play sports hall facilities at all. We have been told by the council that they are looking into all options which could include refurbishing the existing sports hall or building a new one. However, I believe if we don’t keep the pressure on the conservative councillors, this is likely to go under the radar and cost local people even more money. There is a danger we will be left with no access to a public sports hall facility in Bromsgrove. Why is a sports hall important? The sports hall caters for all ages and sectors in our community. Activities included toddler soft play, activities for kids, football, gymnastics, martial arts, basketball and dodgeball. There are over 50’s badminton groups, circuit training sessions and sports for people in wheelchairs. The sports hall is a space where communities get together and friendships are made. Sports hall activities are provided at an affordable rate which gives access to people on lower incomes (not just those that can afford an expensive gym membership). What next and how can you help? The sports hall saga is a huge embarrassment to the Conservative councillors who haven’t listened to the people of Bromsgrove. The aim is to keep the pressure on the council so that they know people are paying attention to this issue and ultimately provide Bromsgrove with a sports hall. We will also be asking a question at the next council meeting on Wednesday 24th Jan and the public are welcome to come and support us. The more people who are there in support the better.